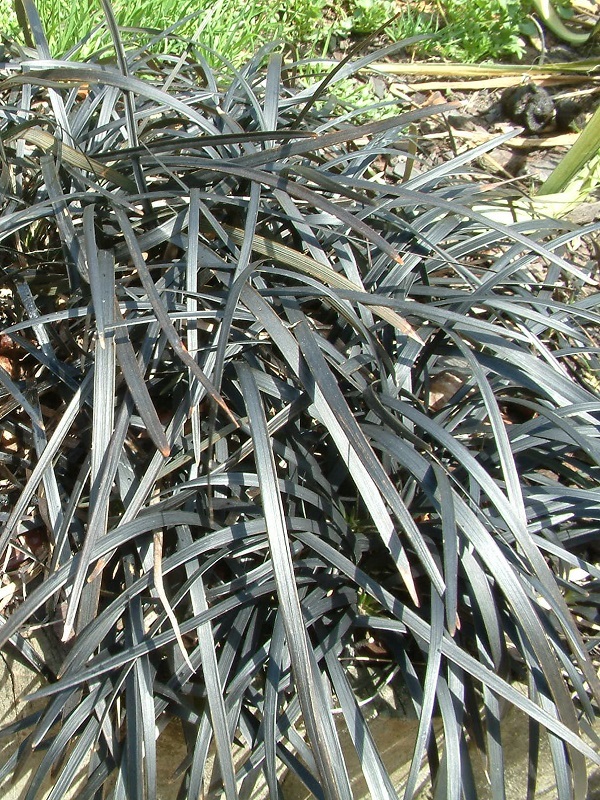 Distinctive stiff, glossy, deep purple-black leaves which form slow growing clumps. Dainty, pale violet flowers appear in clusters along the flowering stem in summer. Makes an excellent border for garden beds or container plantings. 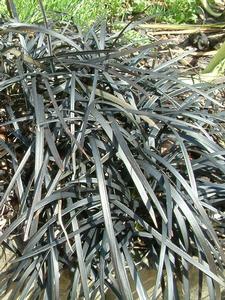 Use as a ground-cover or a general garden filler for under trees or mass planting. A versatile plant that can handle shade, semi-shade or full sun with plenty of water. A slow growing and easy care plant that you can divide if overcrowded.